Xiaomi has released Android 8.0 kernel sources for the Mi A1. The device's Nougat sources were released a few weeks ago, so this is rather unexpected from Xiaomi. A surprise, but a welcome one to be sure. 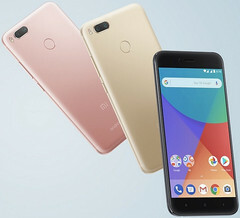 Xiaomi's Mi A1 was one of our favorite budget devices of 2017, as the Android One offering—the first by an OEM of Xiaomi's stature—delivered a blend of fine hardware and software at a great price point. The device's Android 8.0 Oreo kernel sources have been released, with developers now having the ability to deliver better community support for the device. The release of the kernel sources for the device looks to be a change in form for Xiaomi. The Chinese OEM has gained a reputation for delaying the release of kernel sources—the device's Nougat kernel sources, for example, were only released last month, six months after the device was launched, and only after a social media campaign by the enthusiast community. Over the past few weeks, the company has also released kernel sources for the Mi 6, Redmi 4X, and Mi Mix 2, so there's a chance we may be looking at a reform. Meanwhile, the Mi A1 is yet to receive an update to Android 8.1 Oreo. It got the update to Android 8.0 in the last few hours of 2017—not without a few shenanigans, though—and users of the Android One device are said to be looking at an April rollout for the 8.1 update.